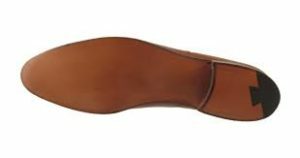 standard-title Men Leather Shoemaking All our shoes are made using the handmade blake-stitched welting construction, as opposed to Goodyear machine welting, hand-lasting as opposed to machine-lasting. Not only does it reduce the overall weight of the shoes, it can last for a long time if cared for properly. Our shoes are also made with leather soles which allows resoling, and truly differentiates it's quality to that of a cemented rubber sole's construction. All our shoes are made using the handmade blake-stitched welting construction, as opposed to Goodyear machine welting, hand-lasting as opposed to machine-lasting. Not only does it reduce the overall weight of the shoes, it can last for a long time if cared for properly. Our shoes are also made with leather soles which allows resoling, and truly differentiates it's quality to that of a cemented rubber sole's construction.